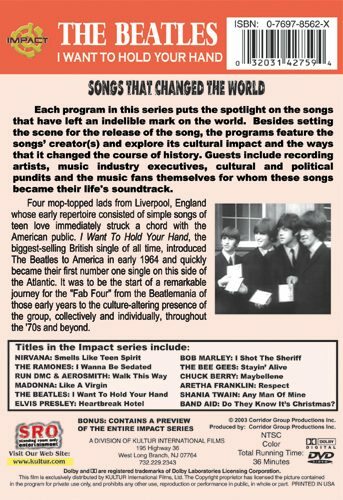 From The Impact Series, Songs That Changed the World: featuring The Beatles: I Want To Hold Your Hand, was the biggest-selling British single of all time, and introduced The Beatles to America in early 1964. Four mop-topped lads from Liverpool, England whose early repertoire consisted of simple songs of teen love immediately struck a chord with the American public. 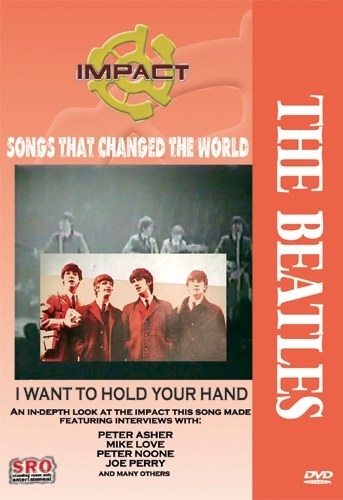 I Want To Hold Your Hand, the biggest-selling British single of all time, introduced The Beatles to America in early 1964 and quickly became their first number one single on this side of the Atlantic. It was to be the start of a remarkable journey for the "Fab Four" from the Beatlemania of those early years to the culture-altering presence of the group, collectively and individually, through the '70s and beyond.